Smart Meters Coming Sooner Than You Might Expect | OhGizmo! 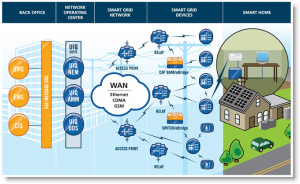 A Smart Grid is an often loosely used term that refers to intelligent distribution and generation of electricity. What this means is that utilities would have systems that control the flow of electricity autonomously and meters that provide remote data gathering capabilities as well as control over the airwaves for the customer and the utility. Today’s at home energy management is limited to flipping a switch when lights are not in use or programming a thermostat. These devices (thermostat, range, water heater, pool pump, TV’s) would all have a built-in HAN (Home Area Network) module that would interface with the electronic meter to relay information via the chosen network. This will provide the utility with almost real time electric demand information, the ability to disconnect non-paying customers remotely, automated feeder switching, and better load management. 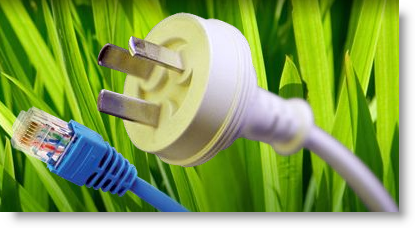 Consumers would benefit because they would be able to take advantage of using electricity when it is most efficient, their meters would have the capability to meter electricity produced at home (solar, wind, etc), better management of electric use via remote access, and more reliable electricity. The recent push from the Administration and Congress has provided incentives for utilities and other companies to find ways to reduce their carbon footprint all the while providing consumers with more choices in managing their electricity consumption. Florida Power & Light (FPL) & Pacific Gas and Electric (PGE) are among the leading contenders working with vendors like General Electric, Silver Spring Networks, and Cisco to bring energy management to your home. FPL has approximately 100,000 of these meters installed in Florida with plans to expand deployment to the approximate 4.3 million customers it services. On the other hand PGE has deployed over 350,000 meters and will expand the deployment to include its remaining customers. 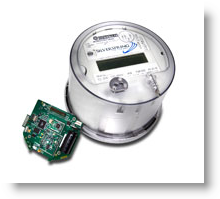 So if you live in one of these states (Florida or California) it is very likely that you will see one of these meters attached to your home within the next 5 years.